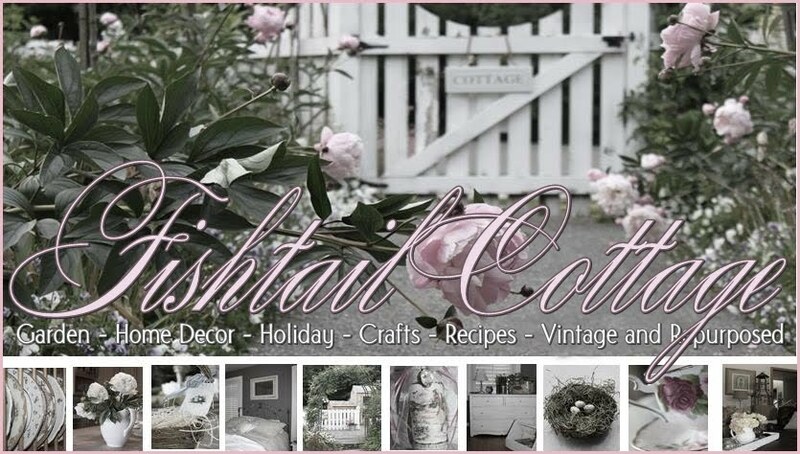 Fishtail Cottage: I’m up to something! " Another little project I’m working on is my girls bathroom! It’s been “pottery barn cute” for almost seven years now! Their room is a Jack and Jill bathroom ~ difficult to take / share photo’s, but here were the colors I had in the room before! But now that they are teenagers it’s time for a little makeover! The new color for the walls is a Sherwin – Williams paint called Minute Mauve…you wouldn’t know it by looking at this swatch, but it’s got red tones in it ~ therefore it’s a very pale lavender color in the room. Keeping with the grey tones I added a very pretty Macy’s Calvin Klein towel that is a greyish/purple. The shower curtain I purchased months ago from Roost in Spokane! I can’t wait to hang it once the paint is dry! I am in love with the creamy color with specs of grey in the linen. & yes, I love the ruffles, who doesn’t love ruffles? I love organizing and feel very accomplished once a project like this is completed. I tried to use some of the locker baskets I had left over from here. However, to keep the décor feminine, I did need to add a few lined baskets when organizing their linen closet. I of course adorning them with a few tags from Porcelain Rose Etsy Shop that I stamped. I of course adorning them with a few tags from Porcelain Rose Etsy Shop that I stamped. When recently cleaning closets I found this great basket with jars that I filled with Epson Bath Salts for my girls ~ of course had to tag them with what fragrance it was! 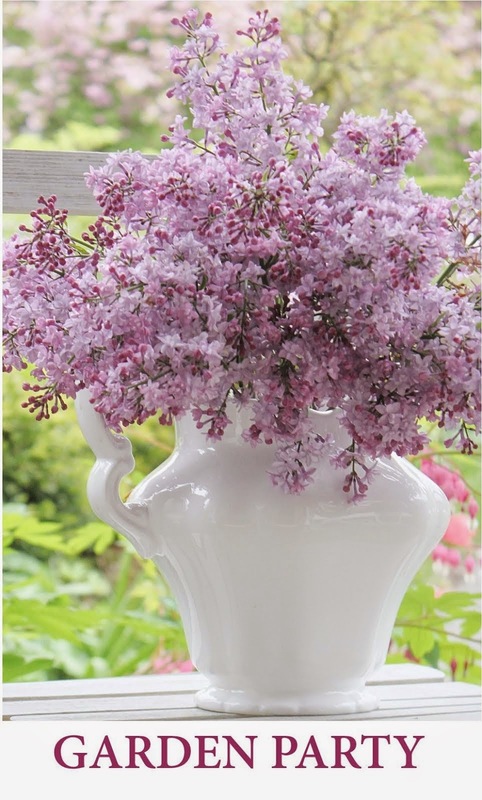 They will hopefully appreciate these with the winter months coming up – if not, I’ll steal them for my bathroom! I also gutted under their personal sinks and threw out a ton of ‘special stuff’ that they’ve held onto for another time! Only putting back what I think they will use…there were a few tears last night when I proudly showed them under their sinks because of containers that were no longer part of the collection! I felt a little bad – but also knew the lack of collected clutter is good for everyone! A few other finds that I can’t wait to hang are these huge frames from TJ Maxx lined with chicken wire… not only can they clip their friends photo’s on them, but they can also hang earrings and necklaces on them! The frame measures 30” x 44” – so it almost covers their entire wall behind their door! This shelf that we found on a recent trip to Spokane in an amazing store Deja Neu Furnishings. This piece once stood over a door way of an old hotel that was being torn down in Spokane! I think it will make a great towel hanger for the girls! And this framed piece that I put together this evening! Chalkboard painted a piece of cardboard and modge podged this print to it. I hope my girls always remember to DANCE! I’m sure I will have another post soon to show you with everything put together! But wanted to share what I have so far while I wait for the paint to dry! oh boy....(or girl) another exciting transformation in the works. i'm loving all those grey touches with a bit of feminity. so sweet! can't wait for the big reveal! I so wish we had the room to do organizing like this. You did a great job Tracie and I hope your girls love the new colours and effort you put in. I'm inspired to get organized. I love the changes made in your teens bathroom. Perfect for them to grow up with. I love the changes. I love the shower curtain. I love to change mine out frequently. One little change can make a huge difference. I am crazy for those metal bins/lockers. I've been searching for some myself. I LOVE how you used my tags!! So creative and such a special touch. I loved what you did with the boys room in your previous post. Looking forward to seeing the finished girls room. Looks great...can't wait for the reveal!! Great organization and labeling!!! I just love that "I HOPE YOU DANCE" print...great frame too. It looks all very lovely and I'm sure the girls are going to be delighted. Love it all. Especially the gorgeous tags on the baskets. This was a great change, well over due I am sure. Knowing you when you put your mind to doing something it gets done and pulls together like its always been. Oh Tracie, I can't wait to see it finished! love, love that ruffled curtain! The tags are so sweet and you gave me an idea. I have a set of three bottles in a basket similar to that. I will be adding it to my downstairs bath. I too have a basket with t.p. in it in my open linen closet. Thanks for sharing with SYC. Those tags really are adorable. It is all looking lovely Tracie.